If you would like to be a guest on an episode, don't be shy - apply! CEO of the Synergen Group, Julian Carle, joins us in Episode 34 of the Build Your Own Business Podcast to talk to us about timelines for starting a business from scratch, time allocation for sales, business development and more. He also shares his journey from university to quitting corporate and starting his own business. Be inspired and listen now. The services of the Synergen Group and how they help people. Julian’s educational background and his love for the arts. The turning point in his career and how he realized that he wasn’t for the corporate world. How long he’s been running his business now. Tips on how to run your business without you. Timelines for starting a business. How Julian does business development. Would he do this all over again? His top tips for individuals in this precipice. Risk Management Expert, Lyndon Holland, joins us today in Episode 33 of the Build Your Own Business Podcast. Lyndon will share his knowledge and expertise on insurance and how to handle risks in your business and personal life. His 35-year experience and training in the insurance industry has allowed him to protect his clients’ business success with risk management programs and insurance advice over the years. A background of what Lyndon does. Lyndon’s job experiences and his transition to what he is doing today. How he offered his products to his clients when he was starting in the industry. Stories about how he helped his clients with their insurance coverages. Things that we need to know about insurance. Findings and implications for business owners. Getting a free consultation from Lyndon. His transition from working for someone in insurance to starting his own business. Highs and lows Lyndon has experienced in his career. How to know when you need to talk to a professional about insurance. Lyndon’s advice for people who want to leave corporate. In this solo episode, Andrew talks about the 3 main ways to scale a consultancy business over time. Tips and advice to use your knowledge to make more income than time per hour. We discuss the 3 stages of growing a consultancy business which are personal branding, business branding, and product innovation. Andrew shares his personal experiences with his business and gives us tips on how to improve your consultancy business. New personal brand coach of Social Star, Elva Li, joins us in Episode 31 of the Build Your Own Business Podcast. Elva shares her inspiring story from growing up in Shanghai, moving to Australia to pursue further studies, and then quitting her job and following her passion. Her work today involves helping female entrepreneurs, like her, create a personal brand that makes them feel confident online so that they can stand out from the crowd and attract their dream clients. The services that Elva offers. Elva’s first paying job, her educational background, and her exposure to her parent’s business. The reason why she chose to study in Australia. How her exposure to small and starting businesses and high-end net worth clients helped her. How high net worth people think and do things differently. The story of her transition from accountant to being a health coach and now a personal branding expert. The most impactful groups that she recommends. Her passion for creating websites for entrepreneurs. The story of quitting her job, pursuing her passion for personal branding and her vision for the future. Advice for people who are still employed but want to become a successful entrepreneur. 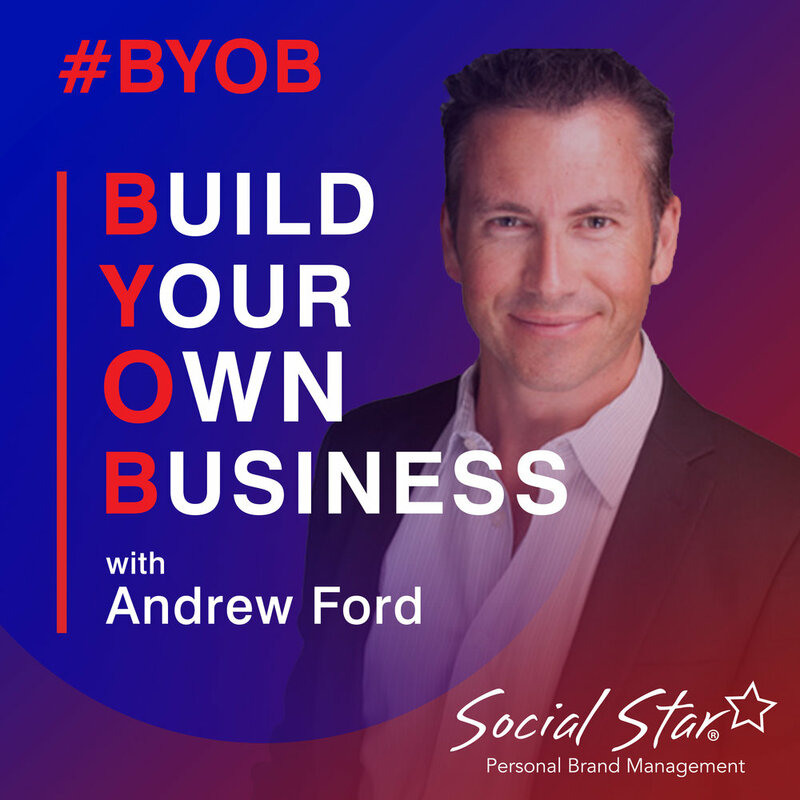 In this solo episode of the Build Your Own Business Podcast, Andrew talks about his plans for the launch of the BYOB Social Club where aspiring business owners can get involved, catch up with peers and like-minded people to form a community to help each other build their own business. One of the goals of the club is to address issues and the challenges that new corporate escapees face when starting out and provide overall support from social events, advice, to serious business talks. He gives us an overview of how the group will be formed, how it will work and how you can be involved. EPISODE 29 - HOW MUCH DOES AN MBA HELP YOU BECOME A CORPORATE ESCAPEE? Elliott works on a different flavor of project management. He drives positive organisational change through the delivery of fit for purpose services & solutions for companies. He has worked with well-known companies to transform their finance, IT and design practices. In this episode, he joins us to share his journey from being a corporate employee to building his own consulting business. Elliott's business services and who he works with. The project outcome differences of construction and IT projects. Reasons why IT projects fail. Elliots work background and how he transitioned into what he is doing today. The best way to get jobs or clients and how this relates to the importance of building your network and brand. Elliott's advice for people who are still working full time and want to jump into business. In this episode, Andrew discusses step 3 of leveraging your digital profile which is pitching. He goes through the Etraction pitching methodology and how it relates to the sales and content models. The 5-step pitching methodology that Andrew uses and the explanation for each stage. His explanation of the 3 important middle steps of the pitching methodology to help you communicate with your prospective clients: Problem, Solution, Why you? The first and last steps of the methodology: Tease and What’s Next is where he discusses how to tease people, make them interested and ask more about what you do. In this solo episode, we cover the step 2 of leveraging your digital profile by producing content that is helpful, valuable and creates traction. We discuss the importance of what, where and why we need to post your content. Kinds of content that businesses can make and recommendations for creating video, blogs and posts. Starting and posting blogs to help your SEO. How to choose which social media platform to use when posting your content. The importance of having your target audience understand what you do. Ideas to help you attract and gravitate people towards your business. Framing content in the sales process. The benefits of podcasting for your business. Mandy Nolton, Founder of Rec Relief and Managing Director at Rec People, shares her story in this episode and talks about her journey from university to building her own business and the experiences she went through getting to where she is today. Mandy is very passionate about her work with local government in the recreation and leisure space. She is currently in the process of building her new business Rec People. The story of her first job and how she was led to work in recreation. The benefits of loving and enjoying what you do. Business as a merged lifestyle with clients becoming friends. Her journey to starting her own business. Getting a business coach to help run her business. How to know the right time to start a business. The experience that taught Mandy to just push on and carry on despite challenges in her business and life. Advice for people who want to start a business. In this solo episode, we will continue talking about the 12-step process of building your own business, becoming a corporate escapee and building the lifestyle you want. We will focus on the first stage of leveraging your digital profile and what we need to do in this part of the process. What is the Leverage stage and how does it relate to the first stage of the process? The reasons why businesses fail. A discussion on the first stage of leveraging your digital profile - Connections. Understanding and identifying your target market. The importance of building connections. 4 steps of the sales process. Jordan D’Urbano, Director of Independent Closers Agency, joins us in this episode as we talk about his journey from starting as a coach, discovering his love for sales and then building his own business. Jordan’s story of taking on his first paid job to building his own coaching business at 16 years old. Andrew and Jordan share their personal experiences that encouraged them to build their own businesses. The challenge he went through when he closed his first business, how this started his shift to sales and the experiences that led him to put up the Independent Closers agency. The power of visualisation and how he applied this to his sales jobs and business. The importance of choosing a business that fuels you. Jordan’s tips for new business start-ups to help them succeed. In this episode, Tracey Rojko, owner of The Philosopher’s Stone, joins me as we talk about her journey and business. We discuss how she helps people open their minds to alternative ways in managing their emotions and gives them the advice and tools they need. In this episode, we’re going to talk about the very important topic of SEO or Search Engine Optimization. I will also touch on the topic of the Google universe at is it such an important part of the way you set up your business and the way people find you, particularly in Australia. Today on the podcast I talk to Connor Gillivan who is the CMO of Freeeup.com. He is a young entrepreneur who has been successful in the internet space. EPISODE 19 - BUILDING YOUR DIGITAL ASSETS, WHAT ABOUT FACEBOOK AND OTHER SOCIAL MEDIA? Today on the podcast I talk about all personal social media - Facebook, Instagram, YouTube, Pinterest, Twitter, etc. I exclude LinkedIn which is our primary business tool while everything else is optional. Today on the podcast I talk to Ben Carvosso, a coach for business owners, about his coaching business, taking pivots in your career and life and doing your life’s work. Today on the podcast I talk about my favorite social media, LinkedIn. We will talk about why LinkedIn is the best social media for aspiring entrepreneurs’ personal branding, how to use it and how to use it in conjunction with your other social media. What is LinkedIn and what it is not? Today on the podcast I talk about Intentions - why it is a super important part of our process of setting our direction and achieving our goals. I also share information about how to set intentions, its impacts and what part of the 12-week process do we use it for. Today on the podcast we talk to Darren Taylor, author, speaker and CEO of Taylor and Grace, a medium sized agency that invents or re-invents brands for small and medium sized businesses. Darren shares his story from being a regular employee and taking a marketing apprenticeship to building his own branding business. He highlights the importance of branding for a company, whether big or small, and how it can make a business successful. Today on the podcast we chat with Darren Bourke, a business coach, mentor and consultant to small and medium business owners for 15 years and author of The Fourth Moon. Darren shares his story from his humble beginnings as a regular employee to building and owning his successful business. He specialises in coaching business owners to replicate his lifestyle design using his tried and tested methodology in achieving sustainable business success. Today on the podcast I talk about the fourth stage in the Attract process – Resources. There are three areas we focus on in the resources section - time, money and connections. Writing down the ten things you love and hate doing in your business to understand where you need to focus your time on and where you need to delegate. Today on the podcast we have a laugh with Morry Morgan as we explore his entrepreneurial story and what led him to cofound a comedy school having never been a comedian himself. He shares his learnings from living and owning a business in China and how his teaching background and an on-stage technical failure lead him to create The School of Hard Knock Knocks. How his entrepreneurial journey has led him to create a business around teaching comedy and being a 'bucket list ticker'. The impact going to China and leaving Australia had on his business journey. The challenges of running and owning a business in China. How you recover from storms can define you as an entrepreneur. Testing your product in a market where you are unknown. How an 'onstage fail' inspired him to learn the act of comedy. How experiencing a poor customer journey led him to start the School of Hard Knock Knocks. Understanding the impact that Key Opinion Leaders (KOLs) can have on the growth of your business. How podcasting helped Morry to reach KOLs in the comedy industry. The future focus of scaling up his business to different locations. How he is re-purposing his content across SHKKs social media. The importance of looking after his past students and how that helps with new referrals and word of mouth. Over the last few weeks we have looked at values and personality as important aspects of creating a business that attracts people to you. Today we look at the third component - Life Stages. If you don't know where you are and where you want to go, how can you plan for the future? You need to know what you want in order to set your business intentions. What age are you is the first thing to look at in Life Stages. Age can often determine your current values and life priorities and these need to be understood when building and designing a business on your terms. Life stages is all about timing and what capacity you currently have in your life. Entrepreneurship is about understanding where we are and planning for what is coming up. When do you want to retire? What do you want to do when you retire? Retirement is about being able to choose what you want to do. Once you know what you want retirement to look like, map out how long it is going to take you and what you need to do to get there. Intention, time and lifestyle are all key factors. It can take 5 to 10 years to make a remarkable business. Five years to get a business that can create a lifestyle income and another 5 years to make an asset to sell. What are your intentions for the next 5 to 10 years, map out what it is going to take to get there and then consider what you will need to get there. We will dig deeper next time into Resources, what you will need to have to get you to where you want to go. Take action this week by visiting the Life Stage module at Social Star University. Elphie Coyle is master at knowing his strengths and how to build a team around his weaknesses. Hear his journey to entrepreneurship and how his particular background and style is reflected in all his businesses. We discuss how he uses 7 freedom areas as his guiding principles in life and business and the impact owning a computer at the age of 7 kicked off of his entrepreneurial journey. Listen as we dive deep into the mind game that is entrepreneurship and how choosing to work allowed him to escape a self-imposed freedom trap. He shares how his relationship with money has changed, mentors that have shaped his thinking, the importance of knowing your numbers and what it took for him personally and professionally to come back from the brink of losing everything. "Dance in divine love with the moment, whilst building keystone performance habits towards our best vision, integrating our past & preparing for the worst through total self-sustainability." Last week we looked at values - the core foundation drivers of your business that you have to match to your business in order to persist. Persistence is the thing that gets your 1%. This week we look at personality and how to design a business based on your personality. Knowing your personality allows you to know the best way you should be in your business, your best role within the business, what team do you need to fill in the gaps and how best to go to market. It is important to understand your personality so you know what strengths you have so you can focus on them. Just as important is knowing what you are not good at so you can hire people that are naturally good at those skills ot balance it up. There are many personality tests on the market but the one we found most valuable was Roger Hamilton's Wealth Dynamics which gives you a detailed and easy to understand entrepreneur profile. Understanding what kind of Wealth Dynamic profile you are, makes it a lot easier to accept and understand why you are not good at particular things and what work you are most likely to enjoy and thus succeed at. The challenge with building a personal brand is knowing how to represent your personality online through words and pictures. What is the level of formality of your industry – the way that people would perceive you. Your level of openness – how much of your personal life do you want to share online. Keep in mind that often you need to sketch outside your comfort zone in sharing you values and stories to attract people customers that share the same values and want to do business with you. Answering those questions based on a 1 to 10 scale allows us to map out exactly how to position your brand online and in social media. Remember there are three brands in every business – people, business and products and when starting out your personal brand is often the only one visible and thus the most important. Next week we will look at life stages and where you are before we look at the final stage of resources. Rohan Kopfler is a man following his own path. From high school teacher to entrepreneur, hear how he made his mark in his industry doing it his way. As the owner of East Coast Kayaking, Rohan got started by purchasing an existing business rather than starting from scratch. 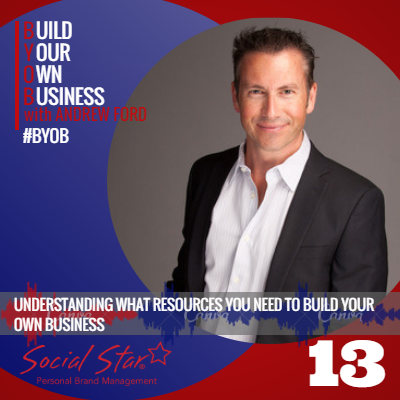 We discuss how he has expanded his business by creating additional revenue streams through an online store, and how he has harnessed the power of video to make personal connections with his customers. Learn how Rohan cleverly accessed mentors around him to help him successfully face the inevitable challenges that arise when building a small business and why it is so crucial to be yourself, work hard and do what you love for a life and business on your terms. The concept of values is as old as Greek philosophy but we are not talking about right and wrong. More the core areas of life that determine how we spend our time, money and energy. There are seven that we explore and how they influence the choice of customers we engage and business we operate to be truly fulfilled. Values can help you to identify the difference being wanting and putting in the effort to get that success. Perhaps you want a million dollar business but are you willing to work 80 hours a week for a long time to get it? By ranking your values it can help to structure a business that will work for you. Business owners fail because often they are working towards other people's values and not their own. If you values aren't aligned to your business, it will fail. You have to 'find the juice to get the squeeze' – what gives you the joy in your business. Once you understand your values it also help you to identify how you work and the target market to focus on, and focus is everything when it comes to a successful business. Yana Martens has combined her phychology studies and modelling experience to create a business on her terms. She understands both sides of the camera and now helps photographers and those in front of the camera to get the images they want in her Posing People Workshops and mentoring. It is said you only have 4-8 seconds to make a first impression, especially with your photos. We discuss techniques to get images that help to reflect your personal brand and capture the essence of your why. Plus, we learn how to get take the perfect selfie! We chat about her journey as a start-up entrepreneur and the current challenges she is facing in scaling her workshop business. Knowing the balance between doing things yourself in start up mode and when is the right time to outsource. We also cover why systems and processes are critical when wanting to grow your business and the security of having other forms of income when starting out. Taruni Falconer created her own business from a young age and has traveled the world doing what she loves. During our conversation we explore the ups and downs of entrepreneurship and business ownership. We discussed the importance of self awareness and learning leadership through the living and working with discomfort until you are comfortable. What frustrations you can expect to during transition points in your life and the need to practice listening to your intuition so you can access it through times of distress on your entrepreneurial journey. We also talk about the impact accountability groups have had on Taruni's career and how creating an annual theme allows for greater clarity for her business development activities. Remember to take time to celebrate the small wins and reflect on the transformations you make as a business owner. Today I talk with Hank Vander Zee who has been a bricklayer for 20 years but is now transforming his life with a new business, Exclusive Entrepreneurs. He is helping people to grow a business through their thoughts and ideas, rather than their hands and labour. Hank talks about the pitfalls of having a business in the construction industry and what drove him at do business differently at the age of 60. We talk about how he has successfully built a business within 90 days through mutli-level network marketing and why that business model often gets a bad rap. Hank is passionate about his products and it shows in his work with a 90% conversion rate! If you had an opportunity to return to corporate life would you? What if you were able to combine the training and mentoring opportunities that come with a corporate role, with the satisfaction of running your own successful business? In this episode Jacqui Pretty from Grammar Factory joins me to talk all about what led her to set up her business helping entrepreneurs. How she helps people write awesome books and assists them to craft and hone their words so that they really resonate with their audience. Jacquie grew her business from being a sole trader to employing a team of editors, she talks about how she made that happen and what drove her to succeed. We also discuss how she has found work/life balance by returning to a corporate role, alongside running her own business and the advantages and opportunities that this presented her with. One of my favourite things to do in business is helping people get out of a corporate job that no longer fulfils them and into a business that is built around their values and lives. This weeks #BYOB podcast is with one of my long-term friends/clients Carol Benton who I met at IBM many years ago and is now an expert communications coach at Words to Win. In this, the first episode of the 'Build Your Own Business Show', the tables are turned and Belinda Coomes, my podcast producer, puts me in the hot seat. We talk all about my background, my values, my own business and what drives me. 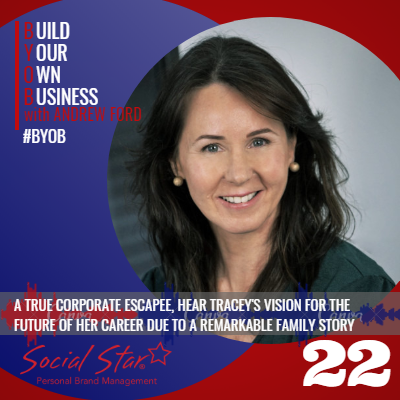 Belinda and I discuss my escape from corporate life and how I turned my skills, knowledge and expertise in digital, marketing and branding into my own successful business, Social Star. We talk about how both personal resilience and willingness to evolve my business over time, has been key in my own journey as an entrepreneur. Belinda and I look at how creating a robust and nimble business has enabled me to be flexible in my work/life balance. We also talk about why I believe it’s important for all small business owners/entrepreneurs to understand that there are no shortcuts to success, that it’s a marathon, not a sprint.